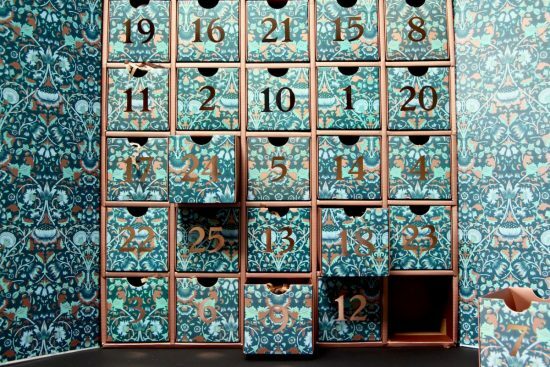 But then this arrived from Liberty and I almost burst a blood vessel with excitement: the 2016 Beauty Advent Calendar featuring Liberty print drawers. 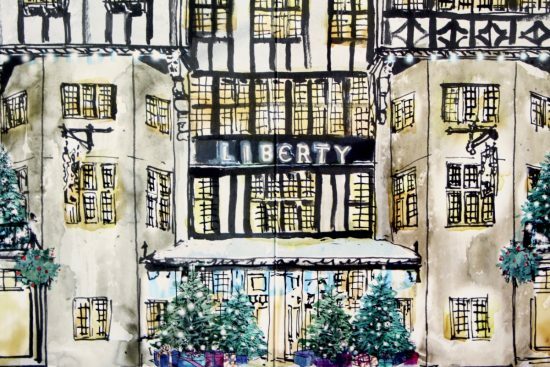 Liberty print drawers! Have you ever seen anything so delicious? 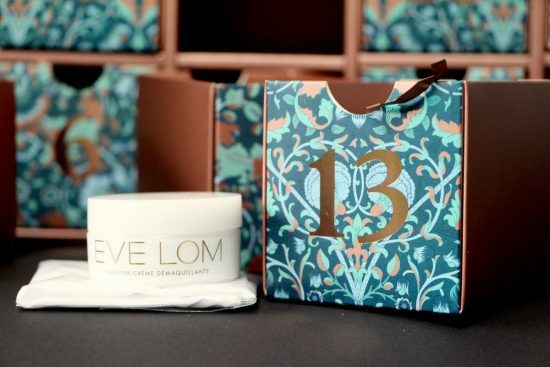 Twenty-five Liberty print drawers, adorned with coppery numbers, each filled with a beauty gift hiding in its own little nest of shredded paper. I really don’t want to do too many spoilers on this one, because it’s so utterly delectable, but I’ve photographed two of the products just to give you an idea of the treats you’d have in store if a Liberty calendar was on its way to you… There’s a great mix of niche brands and better-known ones – Diptyque and Eve Lom, for example – but I can honestly say that there isn’t a single disappointment. Apparently the equivalent product value is over £500 – these valuations always seems unlikely when there are a lot of minis included, but the minis tend to be incredibly expensive serums and face creams and they always seems to bump the value up somewhat. 30ml of an ESPA face product, for example, is about twenty quid’s worth. The 20ml Dr Sebagh Serum Repair is actually a full size version worth £69. So it all adds up! 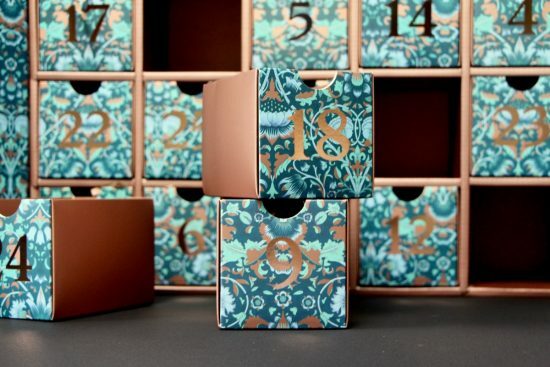 Whoever designed this calendar deserves some sort of medal for services to the beauty world. I’m just in awe. It’s a shame it’s cardboard and not wood (though wood would be ridiculously heavy, I admit!) because I would absolutely one hundred percent hang this on my bathroom wall and use it as a beauty cabinet. Imagine! Lipsticks, hair grips, all of those sharpeners and mini tweezers and nail scissors that you can never find! 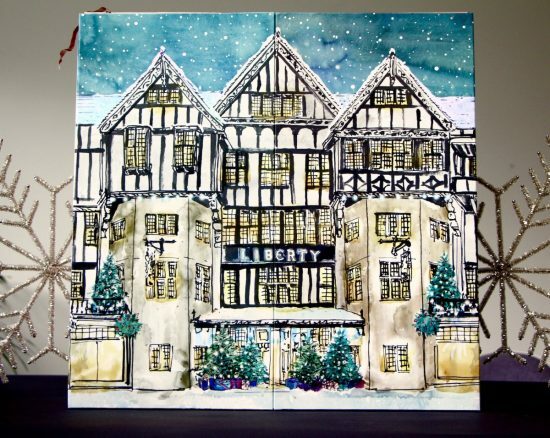 You can buy the Liberty Advent Calendar online here – it’s £165. I think it may only be available to ship to UK customers, but things could have changed… At any rate, take a look at the contents list before you buy if you’re in any doubt as to whether it’ll be up your street!